"It has just started. 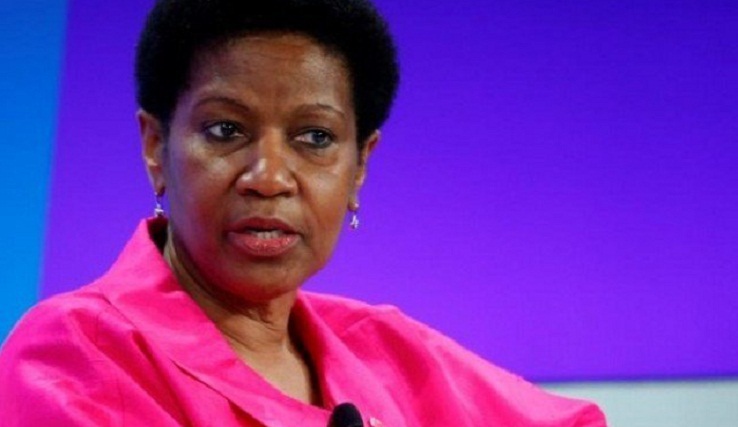 I think we are still going to see many more women coming out," Phumzile Mlambo-Ngcuka, the executive director of UN Women, told AFP in an interview. "There are going to be many more women who are going to find their voices." "We probably haven't reached that point where there is a strong belief, among enough people, that this is profoundly traumatizing, that it creates a pain for many women that never ends." "To actually see that you have one man who is a serial harasser, occupying a very senior position, and it goes undetected for years," she said, shows a "real weakness" of workplace policies and law enforcement. Mlambo-Ngcuka points to the presence of more women in leadership positions as a factor for victims who come forward "knowing that there would be somebody on the other side of the table who would believe them." "It's been a perfect storm, but it needs to cascade so that other women who are not famous, who are not celebrities can also find their healing and the perpetrators in other societies can also face consequences." Mlambo-Ngcuka said she was disturbed by the "loud silence of men" who she said have yet to stand up, distance themselves from the predatory men, and "preach about the importance of behaviour change." Men must declare "never under my watch will I allow that" while "the bad ones" should repent and say "never again will I do this," she said. "There is a need for men to actually react and also own the problem and commit to some remedial action." "Our leaders have been a total disappointment as far as this kind of issue is concerned,' she said. "Because maybe they are afraid of opening the can of worms." "There hasn't be strong leadership by those who are in authority and in power." Sexual harassment is a focal point of this year's 16 days of activism kicking off on Saturday, which is International Day for the Elimination of Violence against Women.